The Bridgestone Dueler Sport KZ is part of the 4x4 tyre range from Bridgestone.With great all weather handling and grip the tyre will give you a smooth and comfortable ride while retaining control over the terrain underneath.The D-Sport KZ is an great all round performing 4x4 tyre that will give great performance when the conditions get worse. 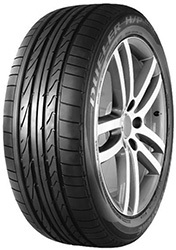 The Bridgestone Dueler Sport KZ is part of the 4x4 tyre range from Bridgestone. With great all weather handling and grip the tyre will give you a smooth and comfortable ride while retaining control over the terrain underneath.The D-Sport KZ is an great all round performing 4x4 tyre that will give great performance when the conditions get worse.